Harry Knickerbocker was raised in the Mojave Desert, joined the Marines and served in Vietnam. Upon returning to the U.S. he pursued a career in the news business and teaching, and took his sailboat on voyages from the Chesapeake to the Caribbean. Knickerbocker has also written several books - among them Fearing the Tiger (2015), a collection of poems that tackle topics like philosophy, love, the war in Vietnam, alienation in an age of increasing mechanization, as well as social and political turbulence. 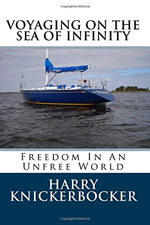 Another one of his books is Voyaging On The Sea Of Infinity: Seeking peace In A Turbulent World (2015), product of a long sailing trip the author took along the East Coast down to Panama. 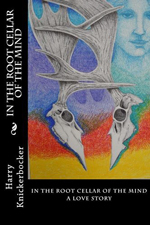 Knickerbocker's latest book is titled The Root Cellar Of The Mind: A Love Story (2017), a novel about a young poet who follows his own imagination and falls in love with a woman bartender at a local tavern. 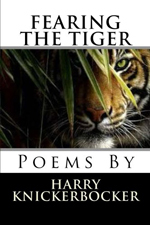 For more information on this author go to http://aboutharryknickerbocker.blogspot.com/.